The Cell Pack Solutions CPS561 battery is a replacement for the Bablyliss T24C Hair Clipper. It is a 3.6V 700mAh NiCd rechargeable battery formed into a triangle with tag terminations and shrink sleeve. 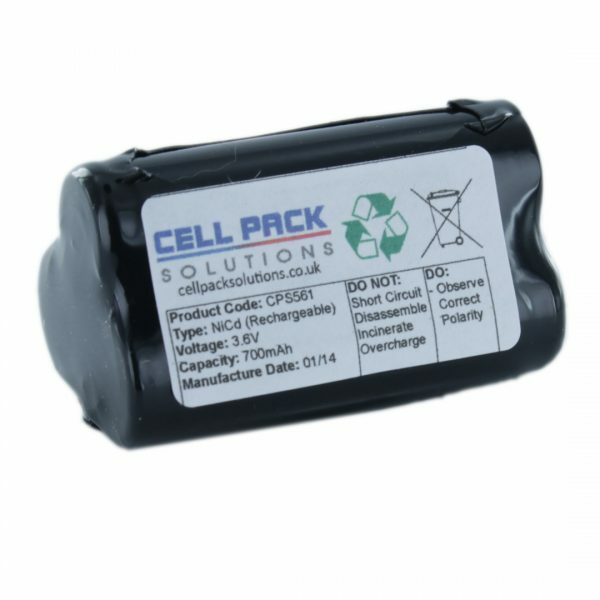 It is a replacement for the GP60AAK3T1H battery. It was easy to order, and the product had to be made and I got it in a few days, very quick and very satisfied, thank again. Excellent product and service, arrived early – and how much more satisfying to replace the battery rather than getting a new device! Very impressed with the quickness and quality of the product. Recommend this company with my eyes closed. Quick order processing and shipping follow-up. Excellent merchant.